In response to growing public awareness of the social, economic, and health benefits associated with local food production, Archeworks has developed a Mobile Urban Farm Tool. 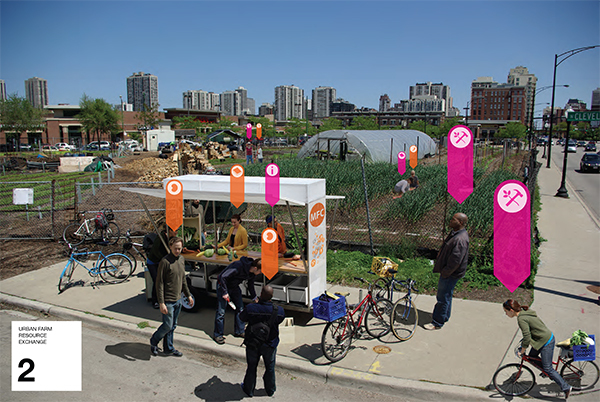 This prototype is conceived as mobile architecture that supports a variety of stakeholders of established and emerging farming projects in Chicago, and helps to connect many of these stakeholders and sites across the city. The project's key objectives are to communicate the value of sustainable community-scaled economies, facilitate the development of new urban agriculture sites, and sustain a lasting contribution to the operation and coordination of these community ventures. 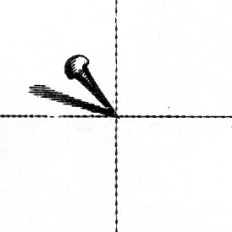 More broadly, the mission of the MFC is simple: to foster a new politics of participation. 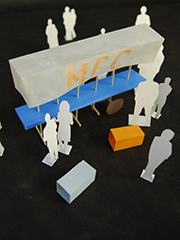 Operating as a mobile cultural center, the MFC's goal is first and foremost to facilitate conversations on the collective project of the city. 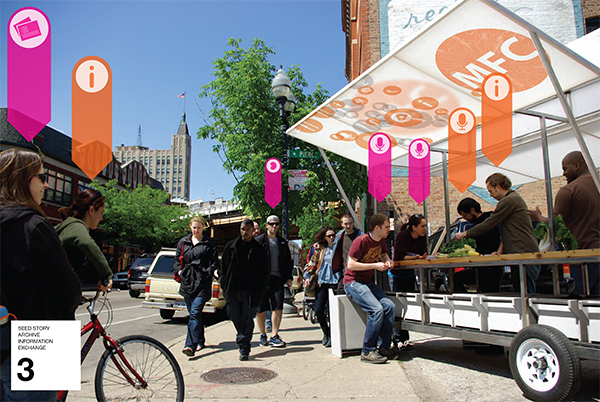 In support of this campaign, the members of the Mobile Food Collective have designed and built the first "Mobile Urban Farm Tool," consisting of an interrelated "Mobile Unit" and "Bike Fleet." 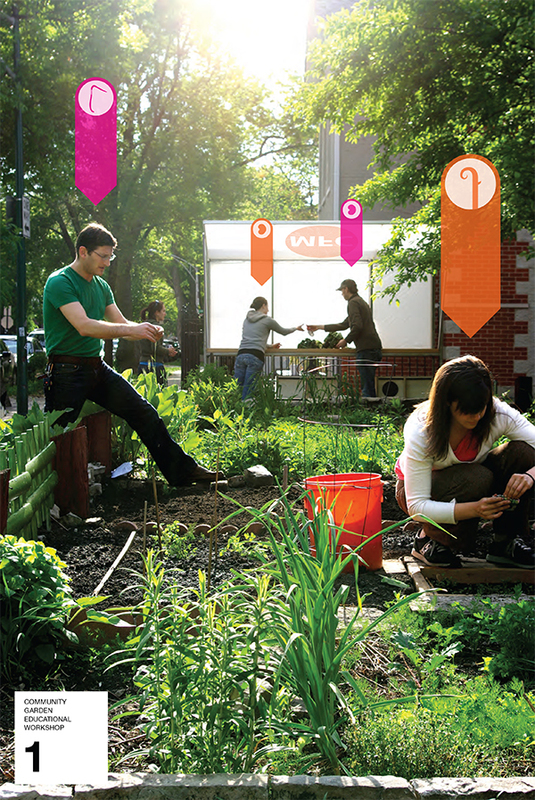 The Mobile Urban Farm Tool traverses Chicago neighborhoods to engage residents in interactive and participatory programs related to the growth and enjoyment of sustainable local food. The Mobile Unit serves as a hub for meetings, storage, and a variety of programming including 1. a seed story archive; 2. harvest dinners; 3. planting/growing/cooking; 4. design workshopping; 5. seed + recipe sharing; and, 6. community events. 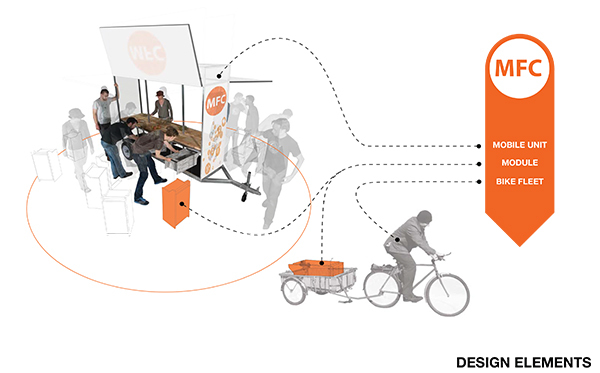 Its design enables it to work with participants through a variety forms, from a mobile farm stand (stand- ing in for a more permanent, future construction), to a demonstration station, to a communal harvest table. A fleet of bikes flocks around the Mobile Unit. The bikes are equipped with delivery mechanisms and educational kits for gardening and culinary demonstrations at community sites, including youth centers, schools, churches, libraries and residents� homes. The bikes extend the Mobile Unit�s reach as it enters an area, enabling it to channel smaller items to specific sites, while capturing the interest of residents and drawing them back to the Mobile Unit for further involvement. 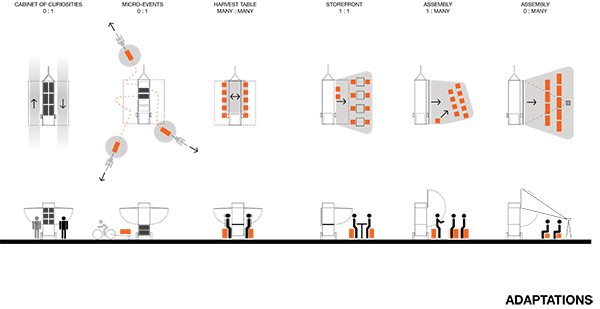 As a logistical system of exchange and relays, the Mobile Urban Farm Tool adapts to the ecology of the city. It produces its own habitat wherever it goes. Through the sharing of materials, tools, education and traditions, we aim to foster in urban dwellers a more active, participatory role in the future of the city.